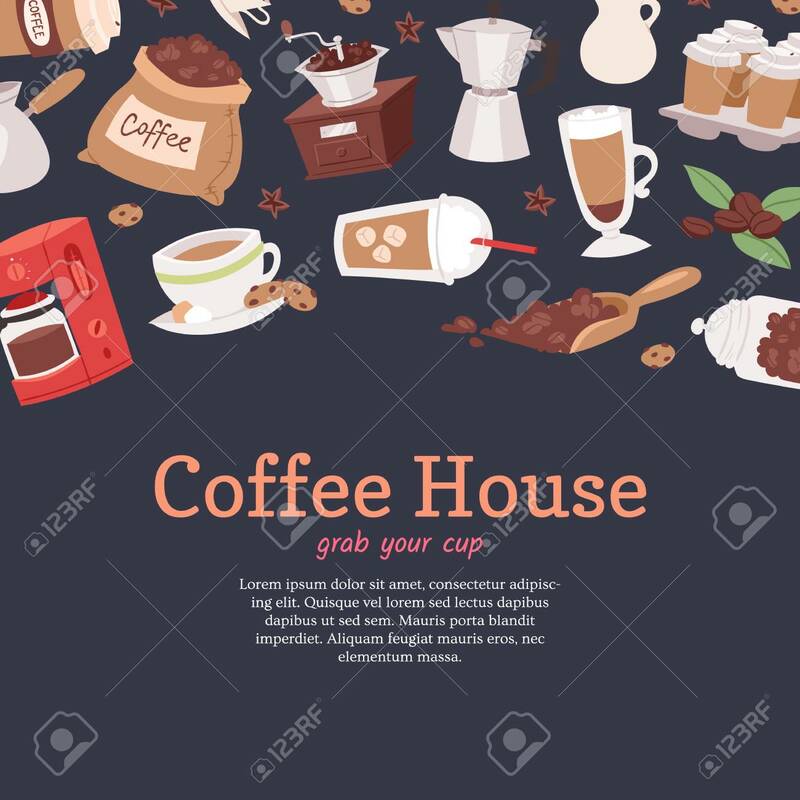 Coffee House Banner, Poster Vector Illustration With Cartoon Cappuccino, Cups, Seeds Arabica, Cinnamon, Milk, Coffee Pot, Cookies, Anise And Sugar For Coffee House Service. Grab Your Cup. Royalty Free Klipartlar, Vektör Çizimler Ve Stok Çizim. Image 115470393. Stok Fotoğraf - Coffee house banner, poster vector illustration with cartoon cappuccino, cups, seeds arabica, cinnamon, milk, coffee pot, cookies, anise and sugar for coffee house service. Grab your cup. Coffee house banner, poster vector illustration with cartoon cappuccino, cups, seeds arabica, cinnamon, milk, coffee pot, cookies, anise and sugar for coffee house service. Grab your cup.